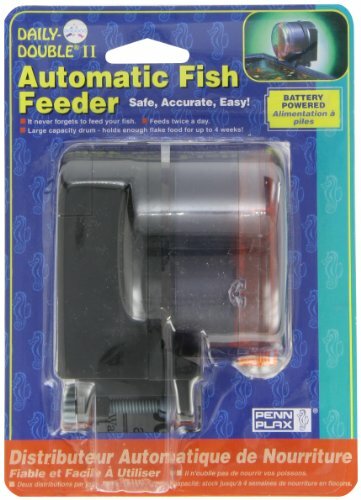 Daily Double II Automatic Fish Feeder dispenses flake or pellet food twice a day for up to 4 weeks. Free-standing or clamps onto any tank. Battery operated.